This painting shows the force of the coming of the Holy Spirit, “Like a great wind”. 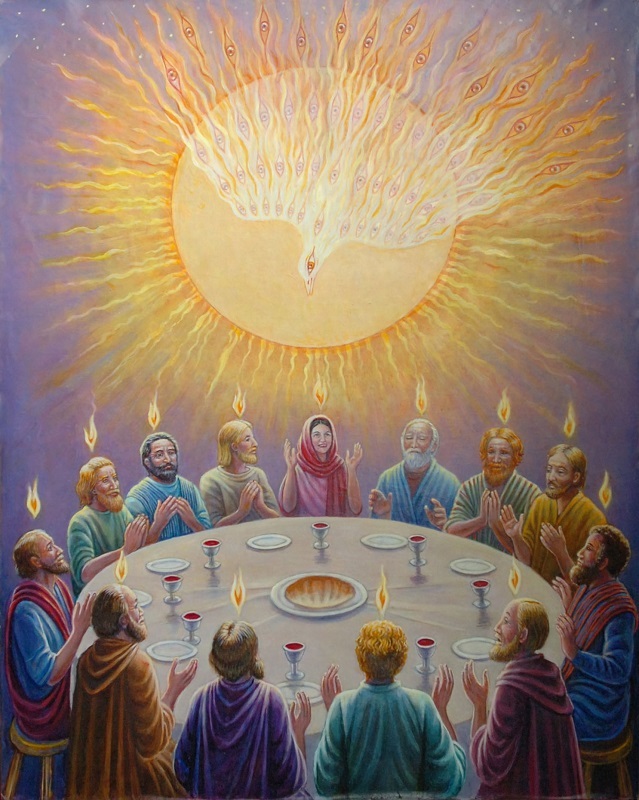 The Apostles are seated together, having a meal — about to break bread together, when with a rush the Holy Ghost comes among them from above, and a living flame appears above their heads as they receive the reviving spirit and a new energy is created in them. Because of this event, they are able to go out and preach the 'good news' of Christ’s sacrifice and redemption, and in this way, the Christian religion comes into being.